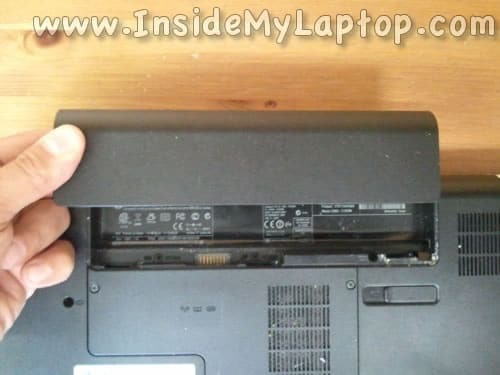 In the following guide I explain how to replace damaged LCD screen on a Compaq Presario CQ56 and HP G56 laptops. 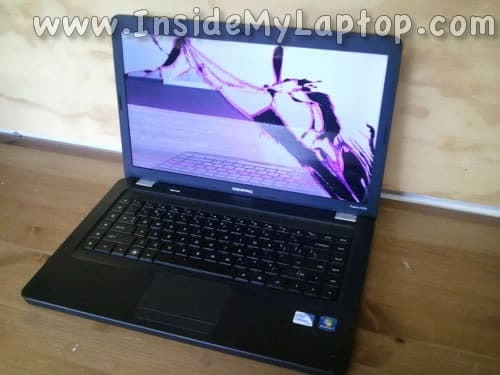 Compaq Presario CQ56 abd HP G56 are similar models with different names. 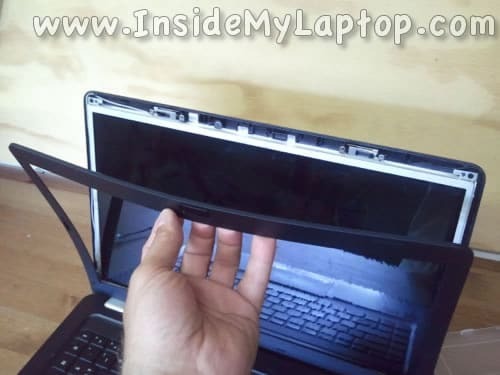 As you see, in my case the LCD was cracked badly. 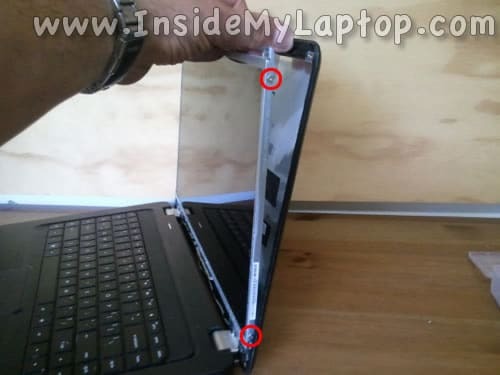 Unlock and remove the laptop battery. 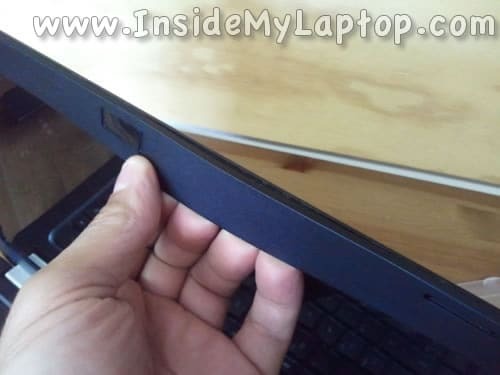 Using a sharp object remove one screw cover located in the lower left corner of the display bezel. 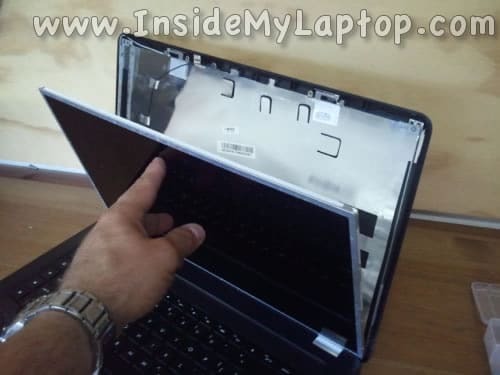 Remove one more cover located in the lower right corner of the bezel. 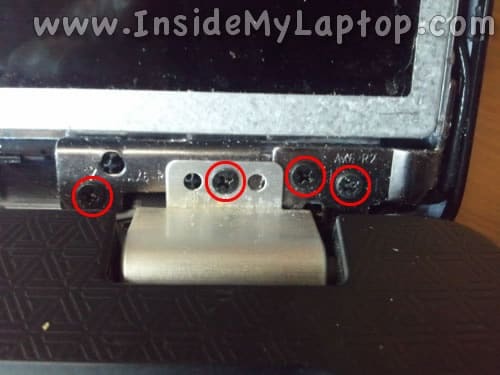 Now remove both screws found under those covers. You’ll have to use a very small Phillips screwdriver. 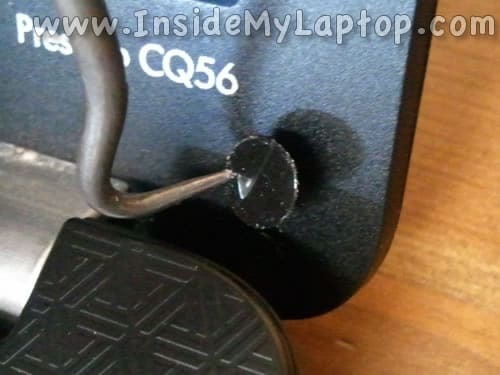 The screwdriver will not engage the screw at the correct angle but it’s still possible to remove the screw. 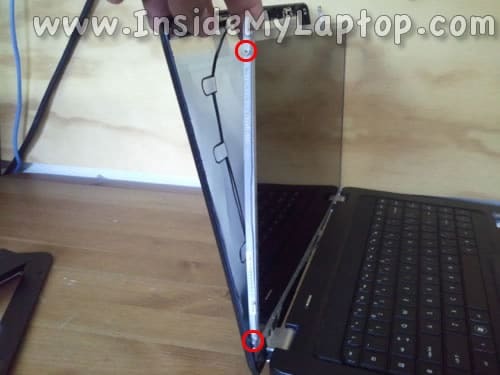 Carefully insert your fingers under the bezel on the top of the display. Wiggle the bezel to separate it from the display cover. 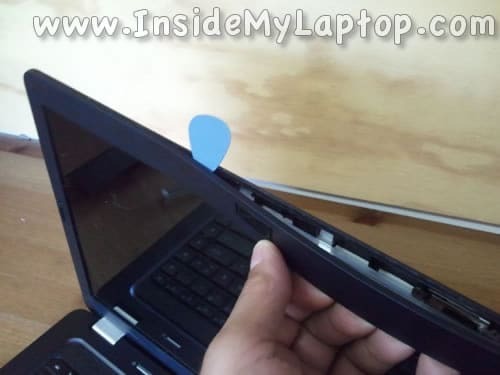 You can use a guitar pick to separate the bezel. Continue separating the bezel on the top and bottom sides of the display assembly. 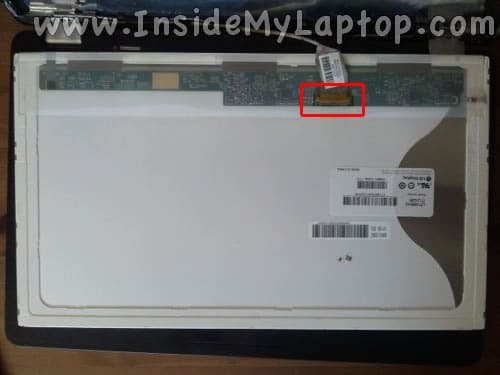 The screen bezel has been removed from the display assembly. Remove two screws securing the LCD mounting brackets on the top side of the display assembly. Loosen (do not remove completely) screws secufing the left display hinge. 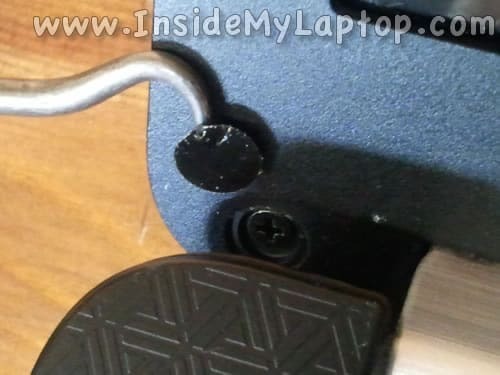 Loosen screws securing the right display hinge. 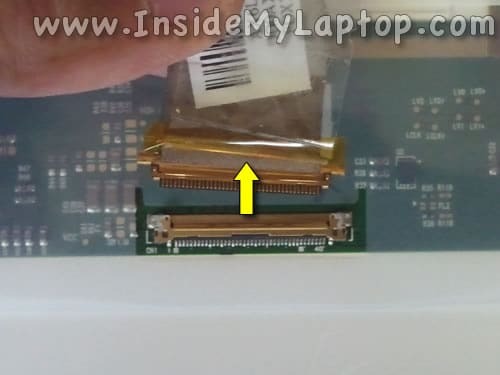 Separate the LCD assembly from the display back cover just enough to access two screws on the side. Remove two screws from the right mounting bracket. 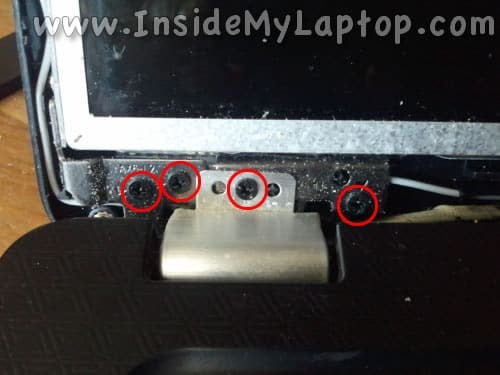 Remove two more screws from the left mounting bracket. 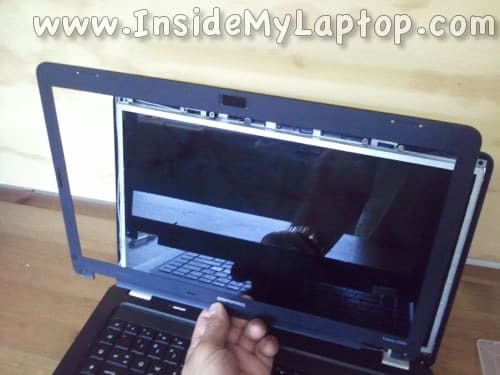 Separate the LCD from the display back cover and place it the front side down on the keyboard. Now you can access the display cable on the back. 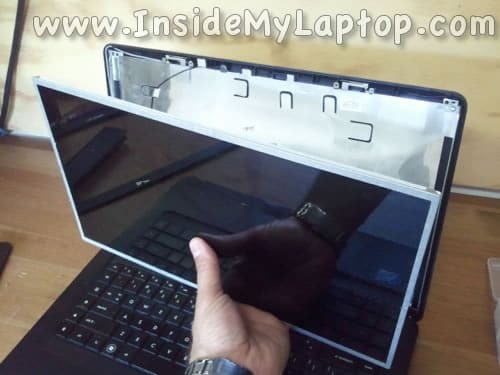 Now you can remove the damaged LCD screen completely and replace it with a new one. 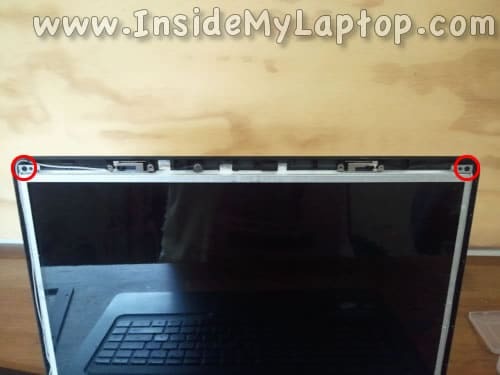 Assemble the laptop following all disassembly steps in the reverse direction. You can find a new replacement screen using the original model number. The model number printed on the back side. 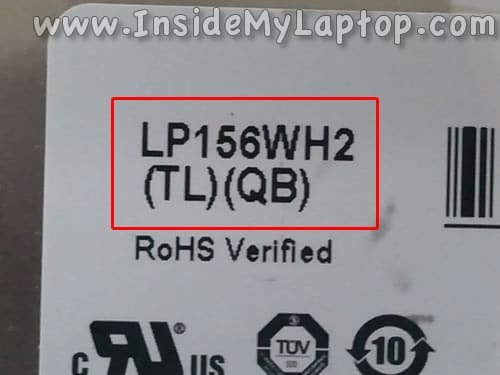 In my Compaq Presario CQ56 I had the following screen installed: LP156WH2 (TL)(QB). can u offer anything for Macbook? What are you looking for? Maybe I can help. Can you do an internal battery replacement on a HP G56, i have started to get a screen advising me of low power, at every start up now. Thanks.